This has to be said upfront that this post has been a definite case of mind over matter. I seriously battled every step of the way making this. 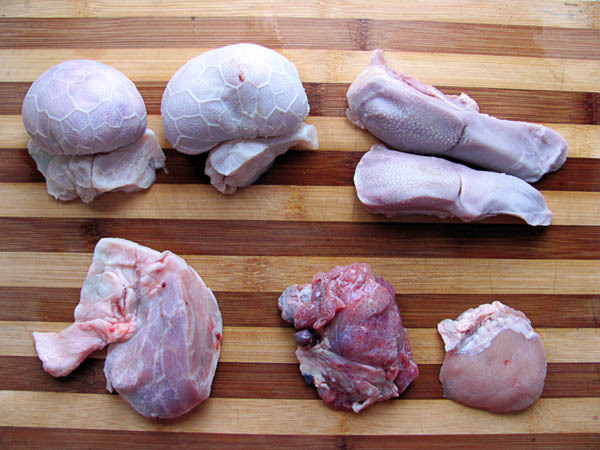 To think of this as any cut of meat and not as where a living creature kept it’s hopes, fears, and personality. Oddly enough, if you think about it logically, why do we place special significance on the brain and not the muscles- weren’t they also a part of what made this animal alive? It’s not as if our bodies are only there to carry our brains around. If we are going to impose our will so that an animal goes through getting slaughtered, we should respect it enough to make the most of every part, including the brain. Thoughts on life aside, brain tastes pretty good. It has a creaminess to it in texture and flavour like double cream, or bone marrow, which makes sense considering it’s mostly fat. 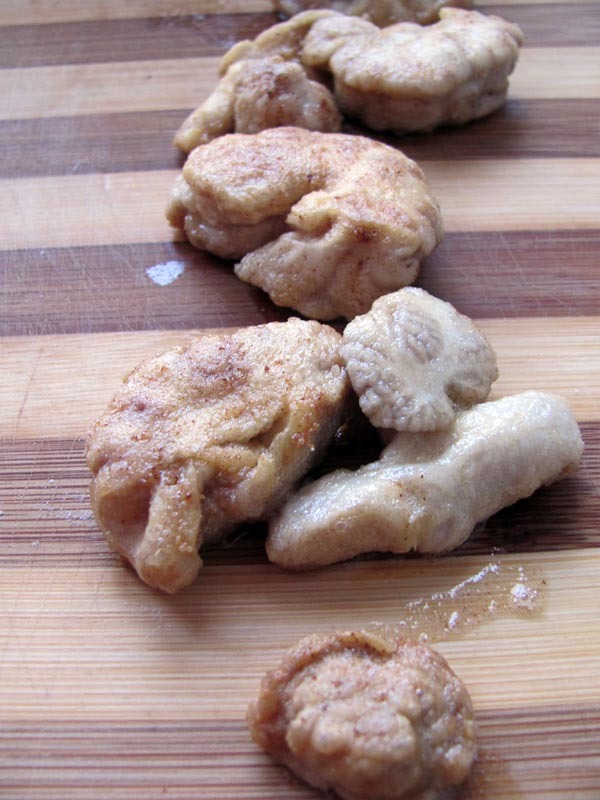 “Sweetbreads”. The collective name given to tongue, thymus gland, heart, stomach lining, etc. Sometimes brain falls into this group as well. 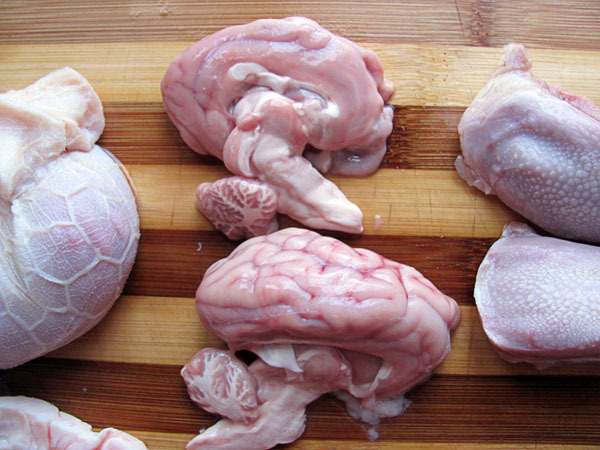 There was a bit of confusion when I bought the brain because when I asked for lamb’s brain they said they didn’t have. I then asked for the next thing on my list – swinging beef. Once I’d thawed my “Rocky Mountain Oysters”, I realized that they weren’t bull’s testicles at all but in fact brains, oh what a happy mistake. I kept thinking it was amazing that whatever thoughts this creature had, they lived in there. It’s not often that a bull has brains for balls but apparently they didn’t help him much. Cut into medallions, dipped in flower with some salt and fried for a minute or so on each side in butter. To go with my butter-fried brains I added some mushrooms, bacon, garlic, chili and basil with a creamy mushroom sauce. As I have never eaten the matter that is of monochromatic hue, I didn’t know what goes well with it, luckily it went perfectly well. 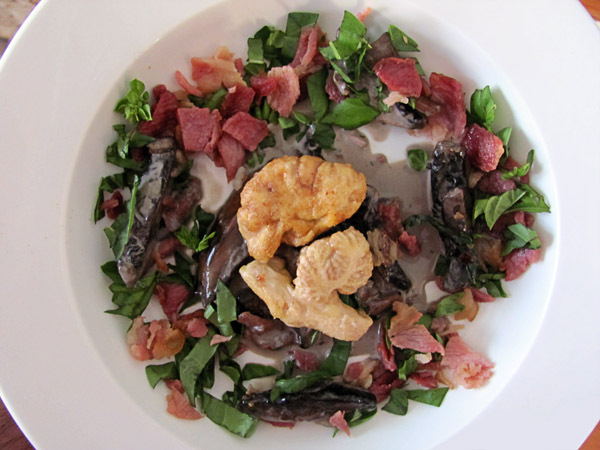 Fried brains on creamy mushroom, garlic, bacon, chili and basil. If I ordered this in a restaurant I would have a new favourite. So, in conclusion, brains can be delicious things and their creaminess can add something to almost any dish. Previous ArticleTintswalo Atlantic, Welcome Back! Love this post. For a more rustic meal try sheeps brain on a slice of freshly baked bread with apricot jam.